Kurtis have always been an inseparable part of a girl’s wardrobe. There’s no denial to the fact how important Kurtis are and how they save you by giving comfort and style at the same time. This piece of garment has always been your savior when you had a doubt of what to wear. Fit for any occasion Kurtis are must have for every girl. Kurtis give you a lot of scopes to experiment with. You can discover your style and give yourself a personalized signature look for any occasion. 1. 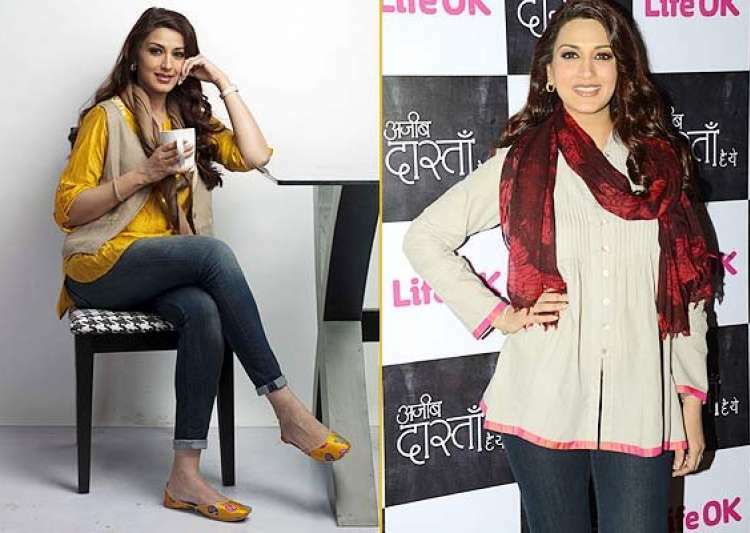 Kurti and Jeans- Yes, they are the Jai and Veeru of your wardrobe! 😉 Pair your kurti with your favorite pair of jeans. Add a fun to the look by draping a stole around your neck. Kolhapuri chappals are best to go with the look! And you’re styled comfortably! You can add a pair of pom-pom earrings for a brighter day. Now that’s what I call a perfect college look! 2. Kurti and Skirts- Kurti (of any length) can be paired with a long skirt for a feminine delicate classy look. This ethnic look can be carried for house parties with your friends or for a casual affair. Contrast can always be paired for if you love lots of colors. 3. Kurti and palazzos- This is a smart, elegant and a sassy way to style your kurti. Nothing comforts you as much as a flaring palazzo. So pair up your kurti with complementing palazzos. Add the classic touch by slipping in your high heels for a classier affair. This kind of styling can be easily found in any Fashion Blog. 4. Kurti and straight pants- For any formal affair, this way of styling of kurti can you an escape. Lacey or plain straight pants not only add to your height but also being up to your personality. A high pony or a bun with a collared kurti is an undoubted look for any formal occasion. 5. Kurti and dhoti- Yes, you read that right! pair your kurti with a bright colored dhoti. Pair it with a stole neatly tucked with a belt (to enhance that tiny waist! 😉 ) and complete the look with jhumkis and fringe bag. This is a perfect look to carry when going for shopping or a day date with BFF! 6. Kurti and hot pants- Now that’s what you call an Indo-Western look. A sheer chikan kurti with denim hot pants can give you a cute hot look. Big earrings and a messy hair updo can complete the look. If you follow any Fashion Blog, you would be well known about these styles. But for those who can’t keep themselves updated, we hope this post helps. So, girls next time you fall for a kurti you see, don’t hesitate in buying that because that one kurti can be styled up in so many different ways! Hope you enjoyed reading this post 🙂 . 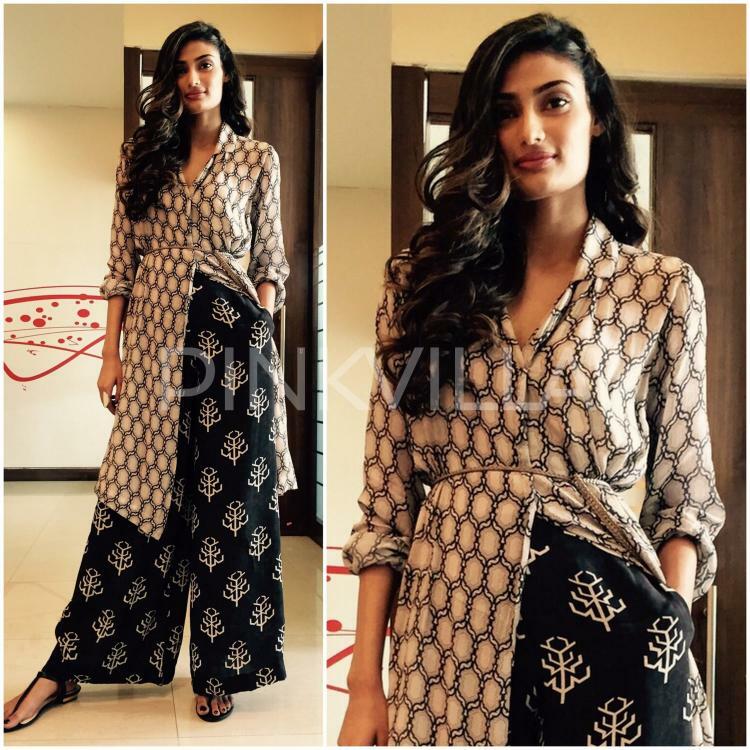 Kurti and palazzos are so in nowadays….